Nabin Sapkota, MD, the author of the book project about medical diagnosis, updated the "Symptoms and Diagnosis" website to announce that it is specifically written for people without any medical background. The clarification comes amid widespread rumors claiming it to be a medical textbook for healthcare providers. “Symptoms and Diagnosis”, a book project about medical diagnosis, just updated its website announcing that it is a storytelling medical book for patients. With this update, the author Nabin Sapkota, MD attempts to debunk the rumors about the book’s target audience by clearly stating who it is written for. Before this clarification, people talking about this book project mostly believed it was written for healthcare professionals. “It was not very surprising to me that people thought the book was written for medical professionals. Most people seem to believe that people without medical background cannot learn about medical symptoms and diagnosis without preexisting medical knowledge. This book will fundamentally change that concept. I will show my readers how people without any medical background can easily understand complex medical concepts if we follow two basic principles,” says Nabin Sapkota, MD, the author of the book project. “In my book, I will not be using any medical terms as I am not talking to my fellow healthcare providers. I will be talking directly to patients and their families and anyone interested in learning more about human illness. I believe that all medical concepts, no matter how complex they are, can be explained in a simple language without using any medical terms. 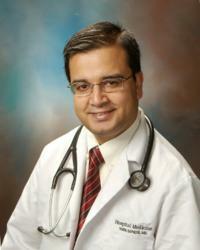 You just need to capture the attention of the readers and keep them engaged” Dr. Sapkota adds.